Chicken Avocado Spring Rolls Spring rolls with Thai dipping sauce are one of my go-to spring or summertime meals when I’m looking for something fairly quick and simple but more exciting than a sandwich or random pasta creation. If I had to pick a food that is a favorite with my husband and I, I’d have to say it is most certainly avocados. This is why I was pretty excited to be asked to work with Avocados From Mexico for their “Avocado All☆Stars” campaign. I mean, who doesn’t love a good avocado? When I heard they would be sending me a kit of avocado goodies, AND they were offering an amazing giveaway package to one of my readers……how could I say no? I’ve made many, many recipes in the past using avocados and was excited to get creative again. 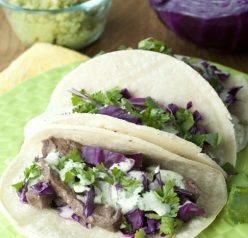 Are you throwing a party for the next big game and looking for a healthier food option? I’ve got you covered with these lovely chicken avocado spring rolls. 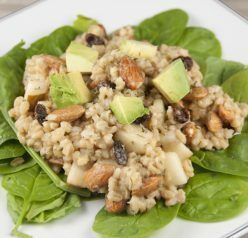 This is a wonderful avocado-based recipe for baseball game day entertaining (or ANY game day) when you want something more on the healthy side. We all know that there is enough junk food floating around on game day, not that I don’t love me some junk food (! ), but these will be like a breath of fresh air. Also, just because you eat healthy does not mean that your party food needs to be boring…and these are the opposite of boring. I loved the addition of chicken in these rather than the customary shrimp, tofu, or pork spring rolls – delicious and SO flavorful! I was actually astounded at just how incredible the flavors were in these. Also, did you know that one ounce (3 slices) of an avocado has 50 calories and contributes nearly 20 vitamins and minerals, making it a good choice to help meet nutrient needs? Just a fun fact for you 🙂 Enjoy and make sure you enter the giveaway! Combine chili sauce, vinegar, coconut milk, sugar, garlic, ginger, peanut butter, soy sauce and lime juice in a saucepan, whisking with a fork until combined. Heat over medium heat until mixture comes to a bubble, let boil for 1 minute then reduce to low and let simmer for another 2-3 minutes. Set aside and let cool. Working one at a time, wet rice paper for 10 seconds in a bowl of very warm water and then transfer to a clean,dry work surface. 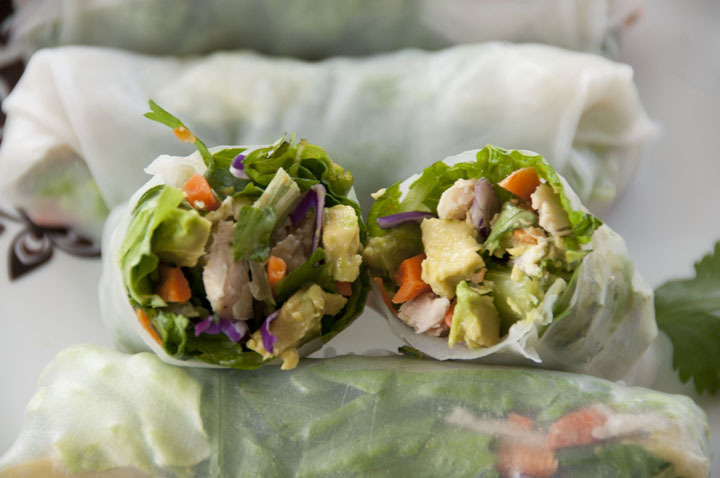 Place lettuce in the center of each wrapper and top with cabbage, carrot, chicken, avocado, and sprinkle cilantro over the top. Bring the bottom edge of the wrap tightly over the filling, rolling from bottom to top until the top of the sheet is reached, being careful not to tear the rice paper (they tear easily!). Repeat with remaining wrappers and filling. It helps to wet your fingers when rolling to prevent the wrapper from sticking to your fingers. Serve with Thai dipping sauce or your choice of sauce! 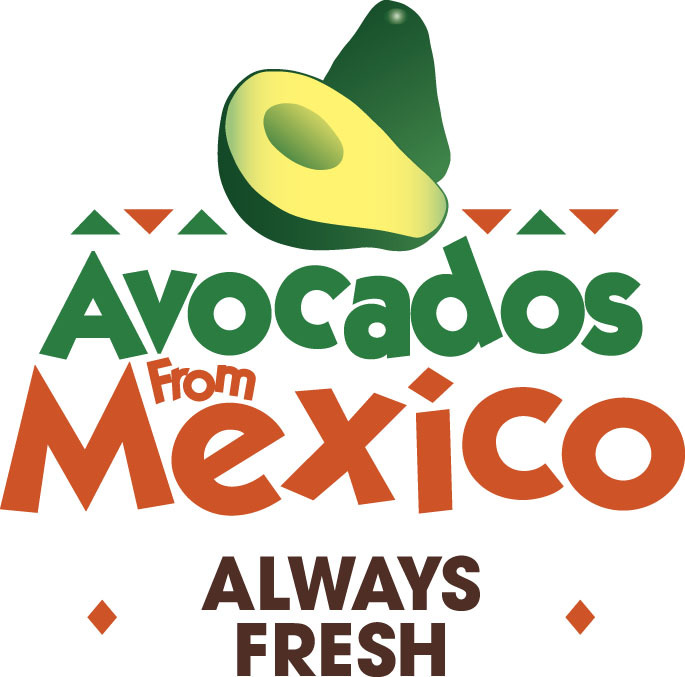 Thanks to Avocados from Mexico, one lucky Wishes and Dishes reader will win an Avocado “kit”! Many thanks to them for providing the giveaway product. Giveaway is open to U.S. and Canadian readers. To enter to win, simply leave a comment telling me your FAVORITE way to eat avocados. 1. Subscribe to Wishes & Dishes by email (enter your email address in the box at the top right hand side of my page where it says “Follow me through email”). Come back and let me know you’ve subscribed in an additional comment on this post. 2. Become a fan of Wishes and Dishes on Facebook. Come back and let me know you became a fan in an additional comment on this post. 4. Follow @wishesndishes on Twitter. Come back and let me know you’ve followed in an additional comment on this post. 5. Tweet about this giveaway, Pin it, OR post a link to it on your Facebook page! Come back and let me know you have in an additional comment on this post. Deadline: Monday Oct. 28 at 11:59 pm (EST). Disclaimer: This sponsored post was made possible by One2One Network and Avocados from Mexico. I have been compensated for my time and work on this campaign, however all opinions are 100% my own, as always. I love chicken stuffed avacados! I love avocados! I especially love them slightly melted in hot soup, yum! My favorite way to eat avocados is on eggs. Yum! My daughter loves avocadoes so much. The only way we have ate them is in guacamole! Need to expand our search for ways to eat them!! I am a fan on Facebook of Wishes and Dishes. Love em on burgers. I follow on Facebook, pintrest, and email. Guacamole is my fave way to eat avocado! I am an avocado fanatic. Love to smear them on sandwiches in place of mayo! Also love them in smoothies. I love avocado made into fresh guacamole, tomatoes, onion, garlic, lemon juice, and a touch of sour cream. I love avocados and I love spring rolls. What a fantastic post!! I must try my hand at these, Ashley; have a great week!! I guess I’m boring, but my favorite way to eat an avocado is sliced in half, sprinkled with salt and eating it with a spoon. A good avocado is a beautiful thing. I like it simply cut into my salad or tossed into a warm salad of a corn, tomato and scallions . Your spring rolls look delicious! These spring rolls are absolutely gorgeous! Lovely colors inside! My favorite way to enjoy avocados is inside a tortilla and sprinkled with cotija cheese. I like eating avocado as guacamole. This giveaway was made for me!! My favorite way to eat avocados is on toast with a dippy egg and sea salt! Avocados are the stars among fruits and veggies. I love their versatility and health benefits. The wraps looks very appetizing and the salsa is a perfect match! Oh, these look delicious. I need to make these to take to lunch. They are so colorful and fresh looking. Mix that with some fresh avocado and they have to be amazing! Thanks for a great idea! Thanks for this idea!!! I have so many spring rolls at home and I didn’t know what to do with them :/ This chicken avocado salad looks delicious !!!!! I pinned these spring rolls, I am going to be enjoying them in the very near future! I’d have to say turkey sub sandwiches with avocados are my favorite. I love Avocados just about any way. I grew up in Arizona and that was one of my foods of choice as a child. I think the way I love them most is just to slice them up,sprinkle them with a little salt and pepper and munch away… heaven! I follow Wishes n’ Dishes on Twitter. I pinned about the contest under give a ways on Pinterest under the Giveaway board , Gloria Richards (glory). My favorite way to eat avocado is as guacamole with lots of lime juice. Guacamole is definitely my favorite! These Spring Rolls look delish! I love avocado in cobb salad! Scrambled eggs, salsa and diced avocados – – yummy! Also like to crack an egg in the center of one and bake until the egg is set, sprinkle with cheese and enjoy! My 7 month old LOVES avocado’s!!!! There a huge reason why he’s thriving so amazingly!! We. Love avocados!!!!! I am fixing but they are so versatile . I follow you on Facebook. Also signed up for e-mail. Love your posts! I follow you on face book!! Love all the great posts!! my favorite way to eat avocadoes is RAW! could eat 10 a day,….so yummy! I follow you on Pinterest ! Love love your recipes! OMG! Avocados are my FAVORITE FOOD. I eat them plain with salt, on my grill cheese, on my hamburger, and anything Mexican of coarse. Everything is BETTER with Avocado. I LOVE avocados…I eat them on sandwiches, on my salads but my favorite is just cutting it in half and using a spoon to scoop it out and eat it alone…YUM! Subscribed to follow thru email. Avocados sliced, with a drizzle of French Dressing on them is my favorite. My favorite way to eat avocados is in homemade guacamole. BTW, I always looked for CA avocados, but recently couldn’t find some so I bought the Mexico ones, and they are so much better. 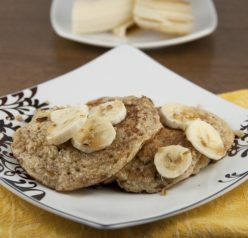 They last forever in my refrigerator without getting all yucky and are so tasty! keeping them all to myself. Oh, what delicious looking rolls! I love anything with avocado. Excellent post, Ashley! 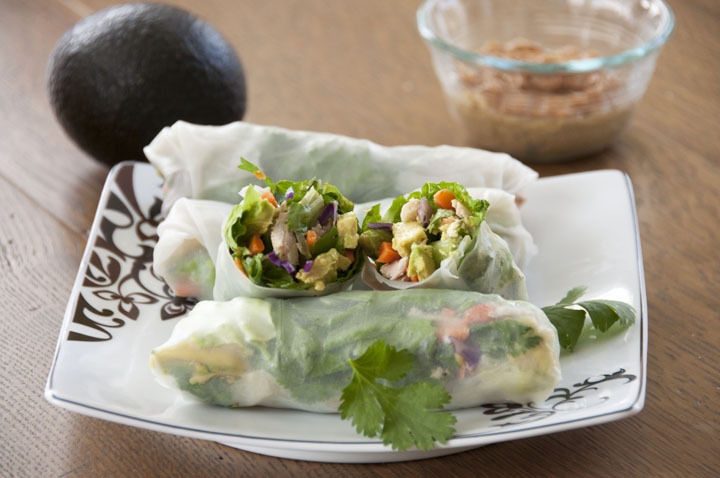 I adore avos and chicken…in a springroll, even more delish! Thanks for sharing, girl! I love avocados…straight off my Grandma’s tree. I love them in salads, in a sandwich but of course guacamole the way my Grandma made it was the best! I’m sharing this giveaway for sure! We add avocados to a BLT – yum! I am a fan of Wishes and Dishes on Facebook as Margot Core. I follow Wishes and Dishes on Pinterest as Margot Core. I follow @wishesndishes on Twitter where I am @AnnaZed. I love avocados with bacon, which I will add to this fine recipe of yours! My sons favorite chicken salad uses avocado in place of mayo! I love to eat avocados right out of the peel! Or with any egg dish. Of course,guacamole, but the spring roles may be my new favorite. My favorite way to eat avocado is on a bacon cheeseburger.mash avocado and spread on burger. Delicious! These look awesome! Avocados are one of my family’s favorites as well!! I love eating avocados by themselves, with a little bit of salt – I know, sounds boring, but avocados are so good! Honestly I love anything with avocados. This post is making me hungry! And follow you on Pinterest! Thanks so much for sharing this giveaway with all of us! I think my favorite way to eat avocados is sliced up in a salad. I also really love making my own guacamole with them too. Yum! Smashed up, put on top of toast and topped with an egg! Yum! Avacado in sushi and spring rolls of course! I love these avocado spring rolls – crunchy and yummy and filled with goodness! I love the sweet and tangy! My favorite way to eat avocados is in guacamole (with homemade roasted tomatillo salsa swirled into it!). …and my second favorite way is halved, and right out of their shells/peels, with sea salt, fresh lime juice, and a spoon! I liked Wishes and Dishes on Facebook. My favorite way to eat avocados is in guacamole. I also put it on a lot of my sandwiches. I just recently realized that I do like avocados. I had really been missing out on some deliciousness! Guacamole is so good, and I also like avocado on my burger. I follow you on Twitter as @whitsweeps! I love eating avocados on eggs with smoked salmon – I wish I had these for breakfast! I became a fan of wishes and dishes on facebook. One of my favorite ways to eat alvacodos is with just a little salt, pepper and a good piece of baked fish on the side. Yummy!